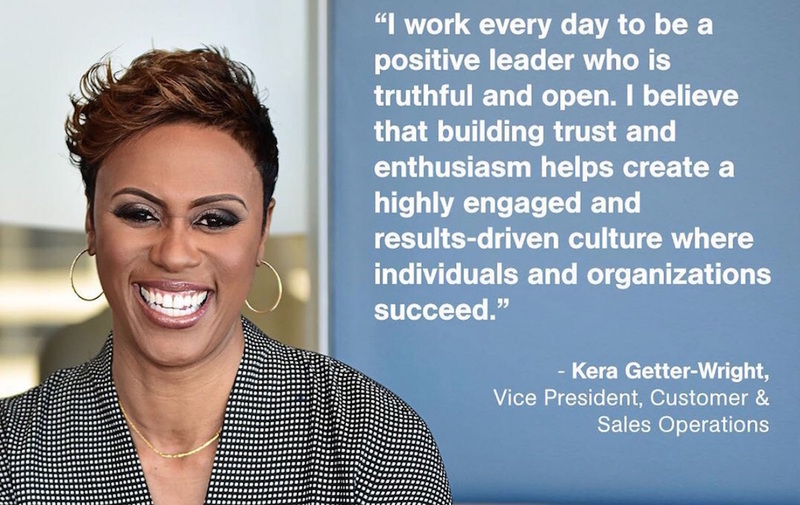 McKesson's Kera Getter-Wright has been named one of Savoy Magazine's 2018 Most Influential Blacks in Corporate America. Kera Getter-Wright is Vice President, Customer & Sales Operations for McKesson Corporation, a healthcare company specializing in distribution of pharmaceutical drugs, medical supplies and technology, and pharmaceutical drug commercialization solutions. In this role, Getter-Wright is responsible for driving a differentiated customer experience for pharmaceutical drug manufacturers in support of patient access and healthcare data solutions. She was appointed to this position in April 2016. She began her career with General Electric and has more than 20 years of experience in the areas of finance, mergers and acquisitions, and operations, including 15 years in healthcare. Prior to her current role, Getter-Wright served as Vice President of Finance for McKesson, driving double-digit revenue growth and innovation. An advocate of people development and diversity, Getter-Wright served as National Chair of McKesson’s Black Employee Resource Group Aspire, and she is an active member of the Executive Leadership Council, the preeminent member organization for the development of black leaders. Getter-Wright holds a Bachelor’s in Finance from Hampton University, and she attended the Wharton School of Business, Aresty Institute of Executive Education.